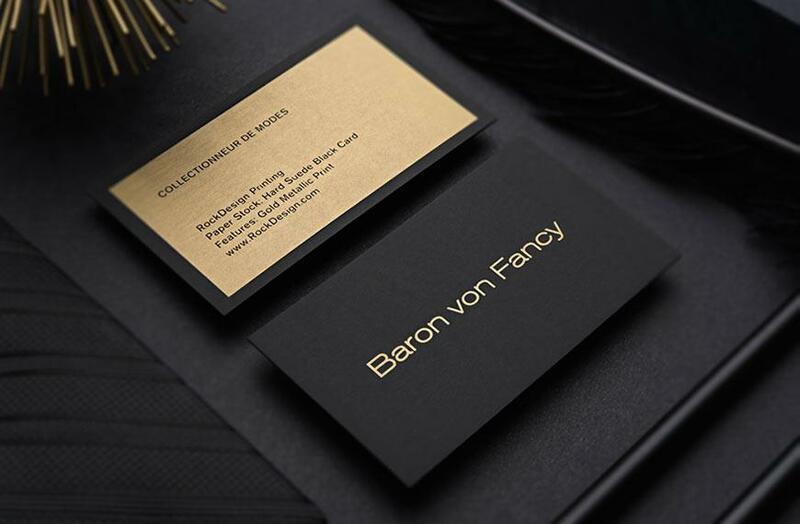 Elegant and simplistic in design, our Baron von Fancy card is a beautifully balanced template that had been printed on our 30pt Hard Suede - a material that effortlessly conveys a unique sense of plushness as well as strict professionalism. 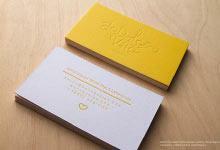 Using our metallic gold ink on both sides, this card features a brilliant shine that makes it stand out in a grand manner. 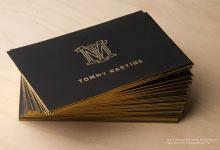 With a leather-like texture this card evokes the sensation of luxury and style that is perfect for those in the auto sales industry. Though it does not use a great deal of features, this magnificent composition perfectly embodies a feel of lavishness that is well-suited to companies that specialize in selling high-end vehicles. 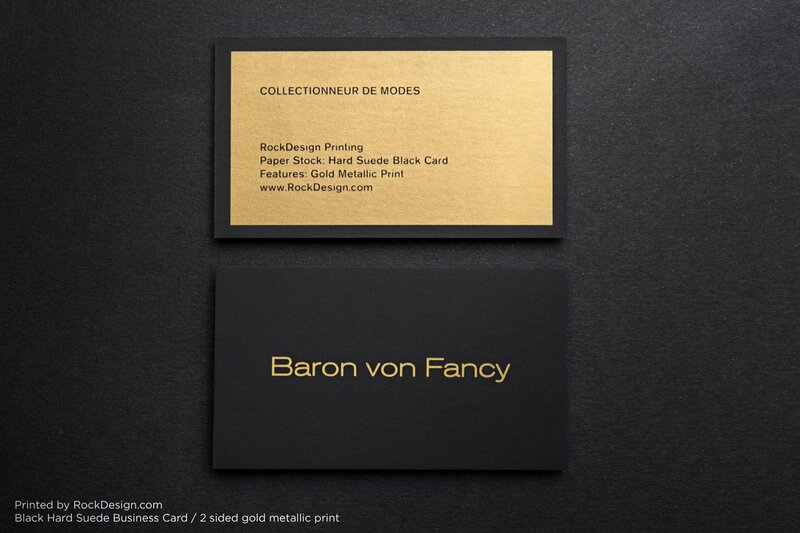 Possessing a flair of grandeur that showcases your confidence in your services, this card identifies your business as elite and reliable, guaranteeing the immediate perception of your brand being a notch above the rest.